Did you know you could use a gold IRA to fund a startup venture? It requires taking some legal steps and placing the funds into a corporate account but is one way to provide a financial seedbed as the business grows and matures. And if you follow the rules, you can invest without incurring any tax liability. Here’s how to go about it. Before you can use gold as an asset to fund the business, you must first set up what’s known as a self-directed IRA. That control comes with several advantages, too, not the least of which is tax savings. IRAs are tax-deferred and carry the potential for huge tax deductions. Also, federal bankruptcy laws protect self-directed IRAs, which means your assets are secure. You will need a custodian such as a bank, credit union or trust company to hold and keep records of these assets. Typically, organizations filling this role do not give investment advice but merely provide administrative oversight. Bear in mind that the IRS keeps a tight rein on self-directed IRAs. Thus, any error you make with the setup or management of the account could result in taxes, levies and penalties. A financial planner or reputable investment firm can help you avoid any such mistakes. One smart way to exert control over a self-directed IRA business-related investment is by purchasing gold, silver and other precious metals, usually in the form of coins. According to the investment firm Lear Capital, gold has outperformed the Dow by more than 300 percent over the past decade. Kiplinger credits gold’s skyrocketing value to rising debt levels resulting from banks attempting to spend their way out of slowing economic growth, demand for gold in China and other emerging markets and negative interest rates. These are just a few of the reasons gold is escalating in value and will continue to do so for the foreseeable future. Gold historically moves counter to the direction of stocks, bonds and mutual funds, says Lear, which means your holdings are less vulnerable to market fluctuations — something of particular concern given the uncertainties associated with the shift toward a global economy. “Gold’s perception as a safe haven in times of economic turmoil makes it a top choice for fearful investors,” says Kiplinger. Gold prices tend to rise as the cost of living increases, which makes it a hedge against inflation. Unlike paper money, the Fed can’t “print” more of it. As a result, gold gives you more purchasing power than you can get with the temperamental dollar. 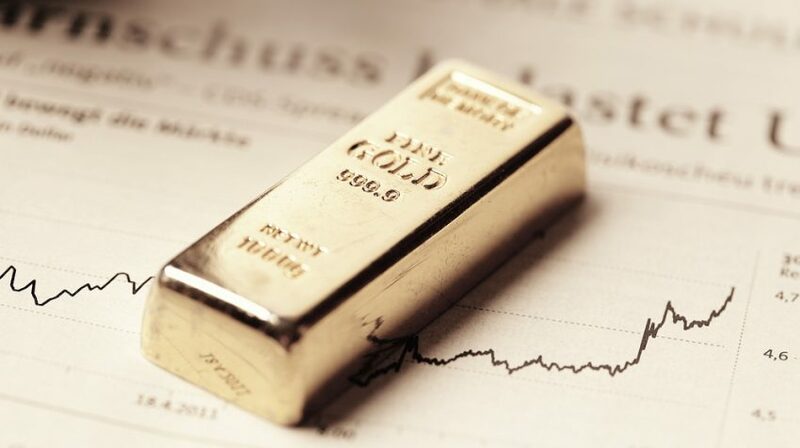 Gold is an ideal choice for those wishing to diversify their investment portfolio to protect assets from the risk associated with market volatility. It is a stable asset that has intrinsic value — a property and reputation it has maintained for centuries. You can move any portion of an existing IRA into gold, silver or other precious metals using one of two mechanisms: transfer or rollover. A rollover lets you receive the funds from your existing IRA account, which you then deposit into another IRA custodial account. You would need to redeposit the funds within 60 days to avoid taxes or penalties, however. If funding a startup venture using assets from a self-directed IRA is in your future, consider investing in gold, silver and other precious metals. It’s a sure way to secure your assets and protect them from market volatility, save on your taxes and provide financial stability as the business grows. Contact Lear Capital to learn more about the advantages this type of investment has to offer.